Welcome to part two of our article on how to save money on car insurance. In the first article we wrote about the top 5 tips to save money on car insurance. 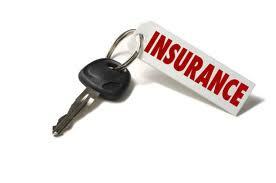 Below you will find even more tips to help save on motor vehicle insurance. There are different types of motor insurance policy: Fully Comprehensive, Third Party. Third Party is the most basic and the legal minimum to drive on the roads in Australia. It covers the policyholder for any injury or damage to another person or their property. Third Party Fire & Theft is a step up and includes loss or damage to your car as a result of fire or theft. Then there’s the more common Fully Comprehensive, which offers a broad range of cover including damage to your own vehicle if you are involved in an accident. It can be cheaper to opt for a more basic level of cover – and it might be a sensible option if you are a young driver with a car that isn’t worth very much. But you should always compare all policy types, because the cost of comprehensive cover sometimes stacks up well against the more limited third party fire & theft. Many comprehensive policies offer a range of optional extras such as legal expenses and courtesy cars, but they come at a price. It’s a good idea to work out which, if any, additional benefits you need so that you don’t pay for unnecessary cover. Many car insurance companies offer a discount to customers who buy their insurance online because the applications are cheaper to process. It’s also a good idea to pay for your policy up front if possible. Monthly installments are convenient but they are usually more expensive because of interest charges and admin fees. Motorists who make it tricky for thieves to steal their vehicle often pay less for their car insurance. So fit your car with an approved alarm and immobilizer. If you have a more expensive car, the insurer might insist that you install a sophisticated tracking device. More than half of vehicle thefts occur at night, so keep your car in a securely locked garage overnight. If that’s not possible, at least try and park the car off the road, perhaps in a drive way. While Advanced Driving skills courses are not cheap they may save you in the long run as it will give you the skills and knowledge to help make your driving more enjoyable and safer. As these courses explain the safety features of your vehicle, how to sit and steer correctly and where to look when you are driving in busy environments or country roads. It’s tempting to stick with your current insurer when your policy comes up for renewal, but it might not be the best deal. Motorists should always shop around for quotes and they can compare motor insurance deals from a wide range of insurance companies online.